Armonia Guesthouse is located in Skopelos, Sporades Islands. 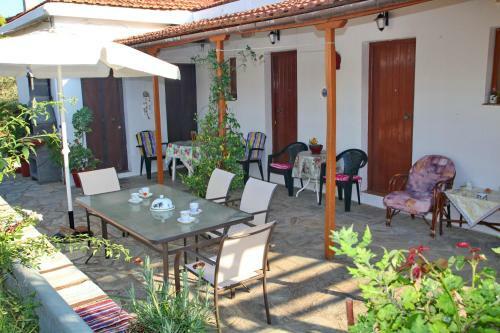 Armonia Guesthouse common facilities include garden	and bbq. The property accommodates visitors in studio, family room, 1 bedroom apartment and other might be available upon request. The rooms offer garden view. Amenities of the rooms include air-conditioning, heating, fridge, etc. Each unit has own bathroom. In the kitchen there are fridge, hot plates and kitchen utensils.